Of these ten groups, only the NRA and Club for Growth are under any obligation to disclose their funding. Only those two can make any claim to "grassroots" status. That's why we call this series "Astroturfing the Airwaves." 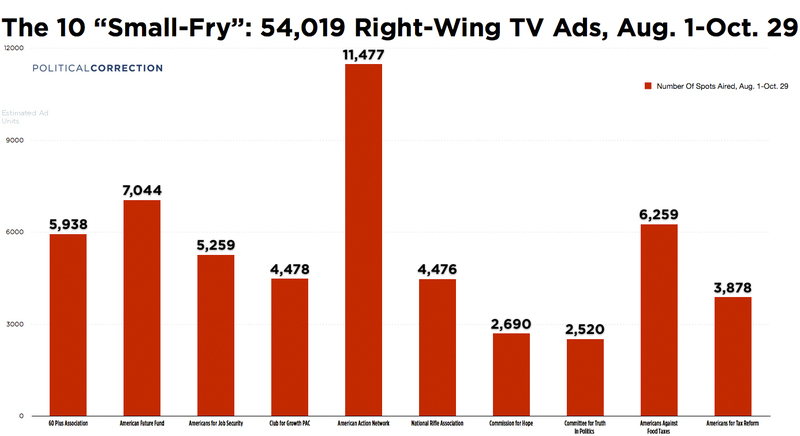 The sheer magnitude of right-wing ads these shadowy groups are putting on the air are bound to have an impact on Tuesday. 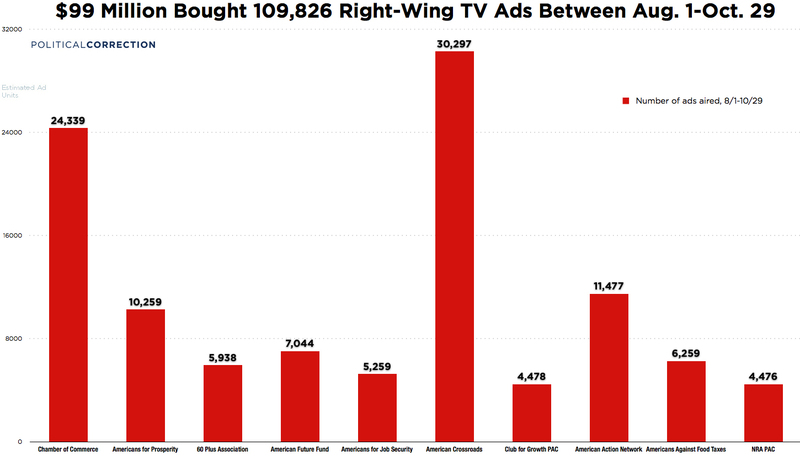 But there's no evidence that the millions of dollars these folks are pouring into TV ads reflects any broad base of support. "The big three stepping into the batter's box are the financial services industry, the energy industry, and the health insurance industry," [conservative operative Scott] Reed said. 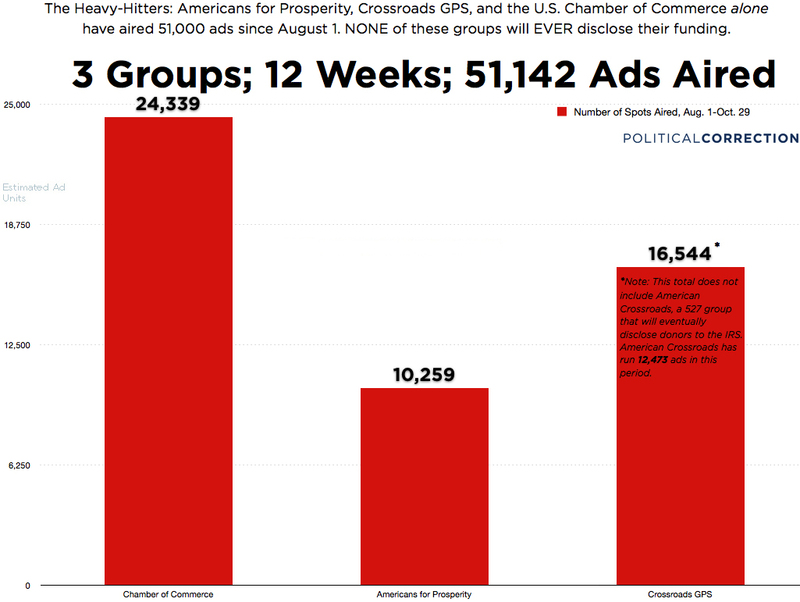 It was nice of the Commission on Hope, Growth and Opportunity's founder to tell us what sorts of businesses are funding his ads. But this election still feels like a hold-up. "Put the democratic process in the bag, and no one look at my face." We'll never get a chance to see for ourselves, and voters will go to the polls next week without knowing who is owed $400 million worth of legislative favors.